It&apos;s no secret that in Baton Rouge, we enjoy our festivals and parades. No holiday goes uncelebrated here, including St. Patrick&apos;s Day. In fact, the annual "Wearin&apos; of the Green" parade is one of Baton Rouge&apos;s most acclaimed holiday celebrations! 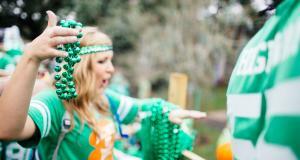 Put on your best green and get ready to celebrate St. Patty&apos;s Day Baton Rouge style!